15mm Holly & Berry Merry Christmas Cream Ribbon - 10 yard Roll Luxury festive grosgrain ribbo..
15mm Reindeer & Trees Christmas Red Ribbon - 10 yard Roll Luxury festive grosgrain ribbon. 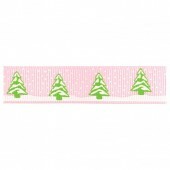 ..
15mm Snowy Trees Ribbon - Baby Pink If you require more than 1 meter, just change your quantity &..
15mm Snowy Trees Ribbon - Blue Mist If you require more than 1 meter, just change your quantity &..
15mm Let It Snow Ribbon - 5 Meter Roll Luxury festive grosgrain ribbon. 15mm wide. 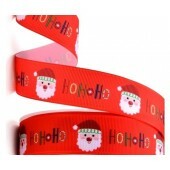 ..
15mm Santa's Sledge Christmas Ribbon - 5 Meter Roll Luxury festive grosgrain ribbon. 15mm wide.. 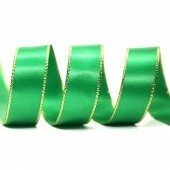 Stunning 15mm wide Gold Edge Ribbon - Emerald If you require more than 1 meter, just change your .. 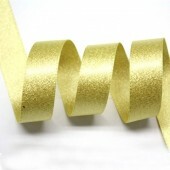 Stunning 15mm wide Gold Edge Ribbon - Spruce If you require more than 1 meter, just change your q.. 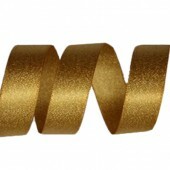 Stunning 15mm wide Gold Edge Ribbon - Hot Red If you require more than 1 meter, just change your .. Stunning 15mm wide sparkly satin ribbon. If you require more than 1 meter, just change your quan..
Gold Holly Christmas Grosgrain Ribbon If you require more than 1 meter, just change your quantity..
Green Christmas Mittens Grosgrain Ribbon If you require more than 1 meter, just change your quant..
Red Candy Christmas Tree Ribbon 15mm wide grosgrain. If you require more than 1 meter, just c..
Red Christmas Mittens Grosgrain Ribbon If you require more than 1 meter, just change your q..
White Father Christmas Grosgrain Ribbon If you require more than 1 meter, just change your .. 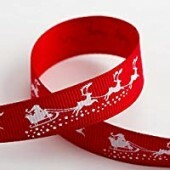 Cute Reindeer Ribbon 25mm wide grosgrain. If you require more than 1 meter, just change.. Happy Snowman Ribbon 25mm wide grosgrain. 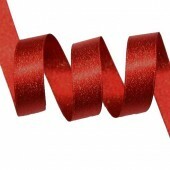 If you require more than 1 meter, just change..
Red & White Merry Christmas Ribbon 25mm wide grosgrain. 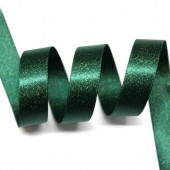 If you require more than 1 ..
Green Ho Ho Ho Christmas Ribbon 25mm wide grosgrain. 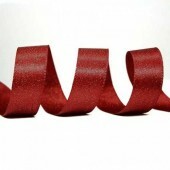 If you require more than 1 meter, ju..
Red Ho Ho Ho Christmas Ribbon 25mm wide grosgrain. If you require more than 1 meter, just cha..
Baby Pink Snowflake Ribbon 25mm wide grosgrain. If you require more than 1 meter, just change..
Blue Snowflake Ribbon 25mm wide grosgrain. If you require more than 1 meter, just change your.. Cream Grosgrain with Red Christmas Trees & Snowflakes Ribbon If you require more than 1 meter..
25mm Green with Gold Merry Christmas Ribbon Beautiulf rich green grosgrain ribbon with gold Merry..
Red Grosgrain with Cream Christmas Trees & Snowflakes Ribbon If you require more than 1 meter..
Santa Hats & Snowflakes Green Satin Ribbon If you require more than 1 meter, just change your..
Merry Christmas Classic Ribbon If you require more than 1 meter, just change your quantity & ..
25mm Red Satin Glitter Ribbon If you require more than 1 meter, just change your quantity & i..
25mm Silver Satin Glitter Ribbon If you require more than 1 meter, just change your quantity &..